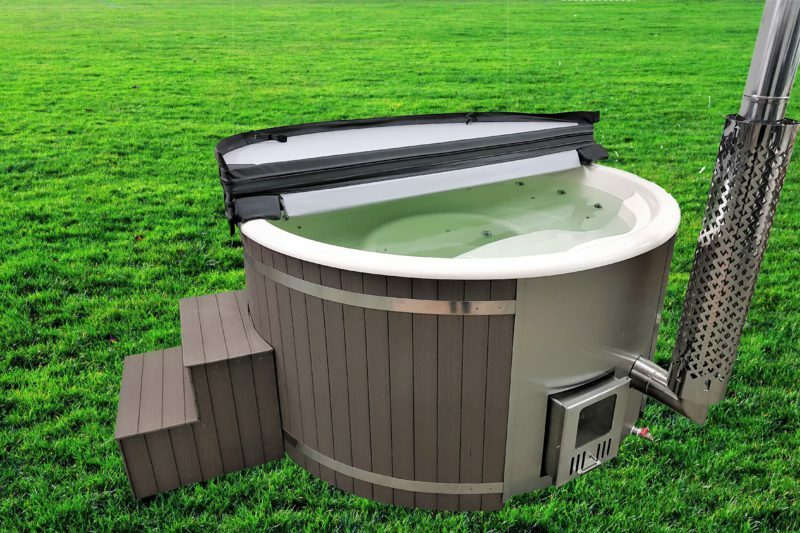 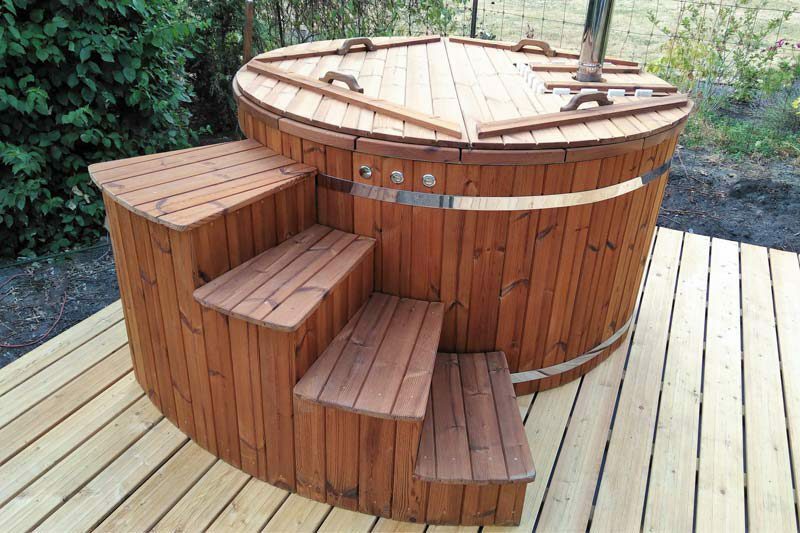 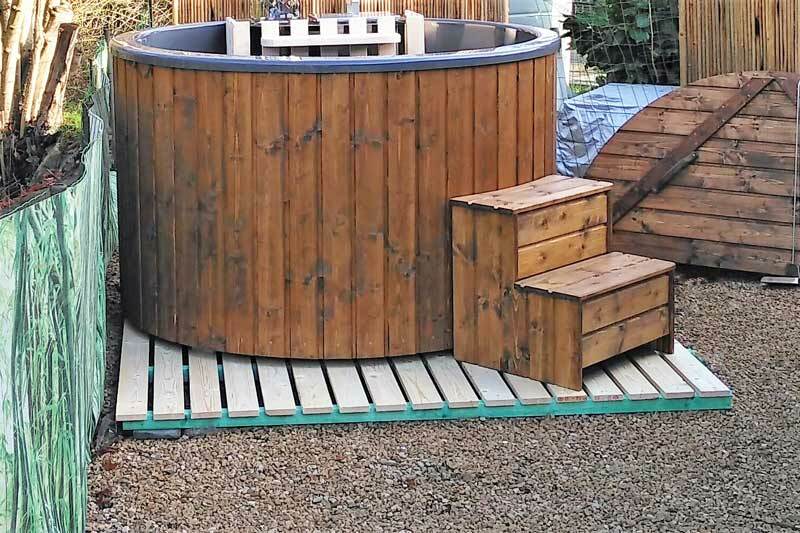 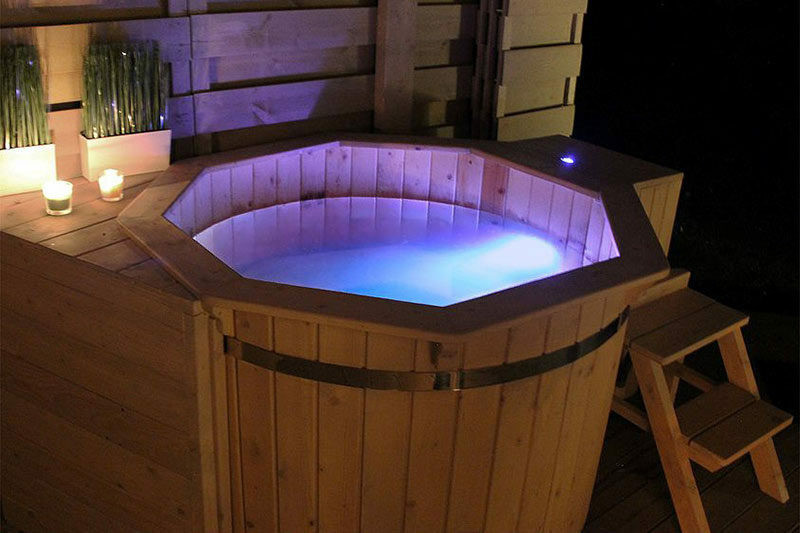 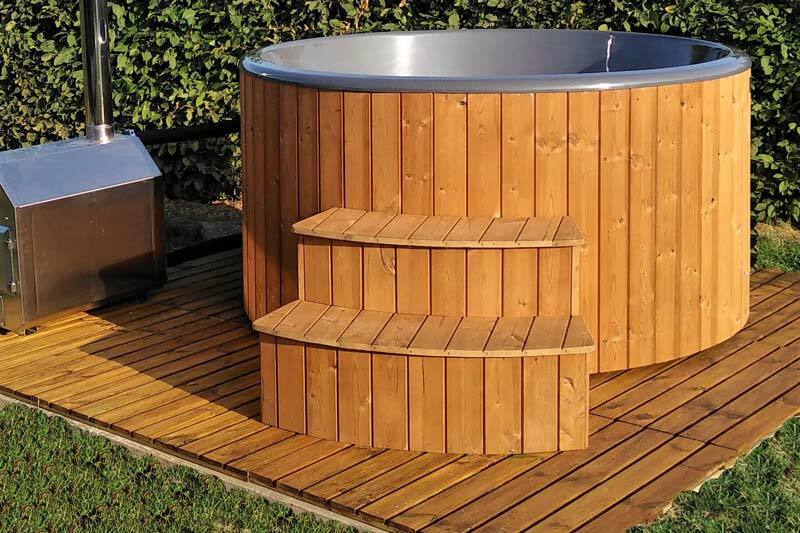 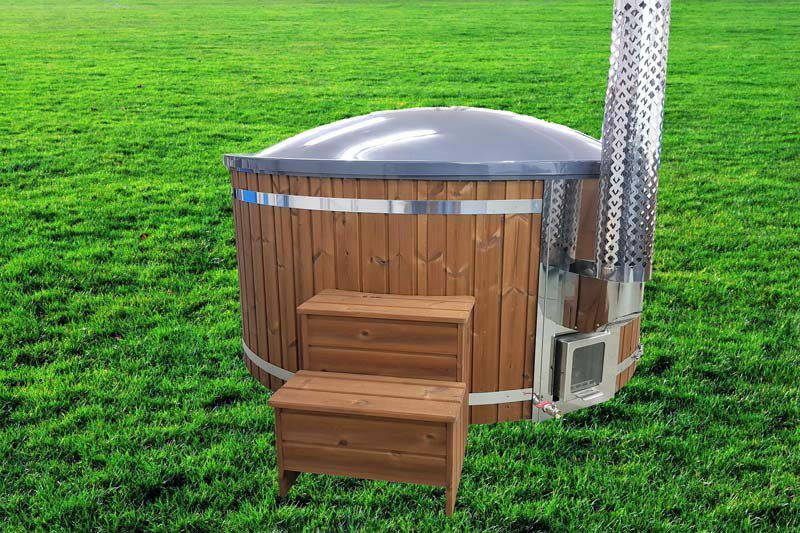 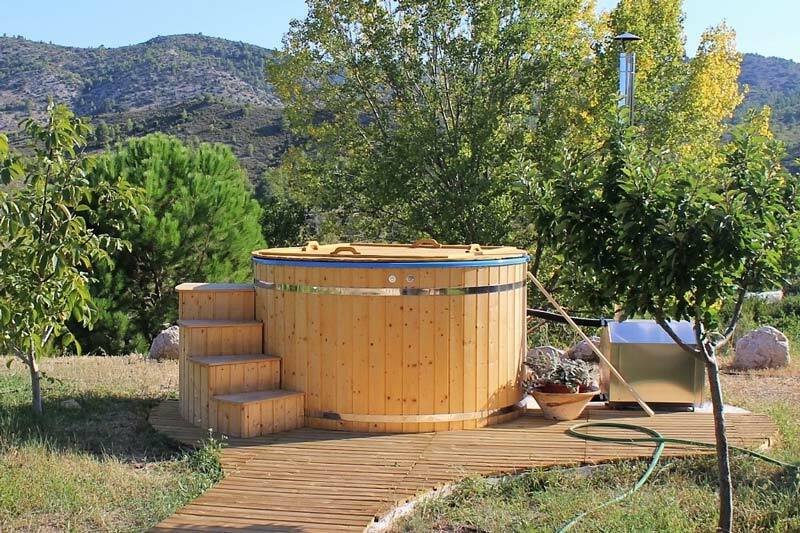 Wooden hot tub with fiberglass interior has many practical advantages. 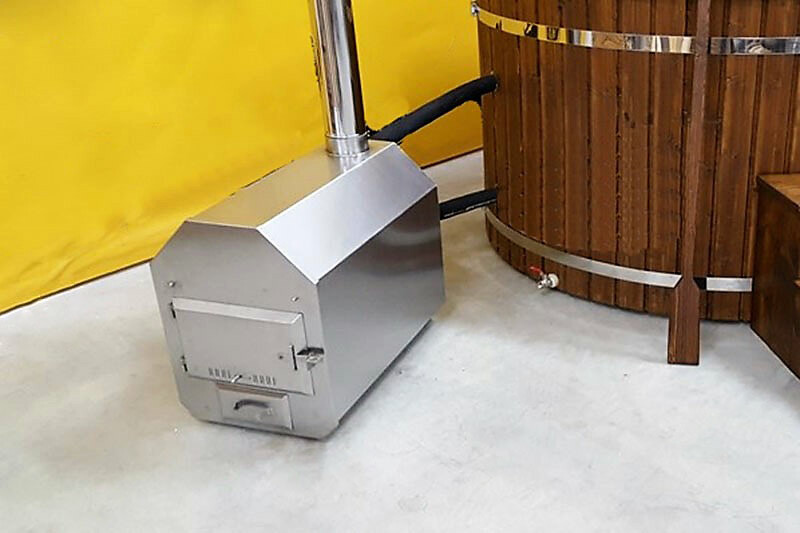 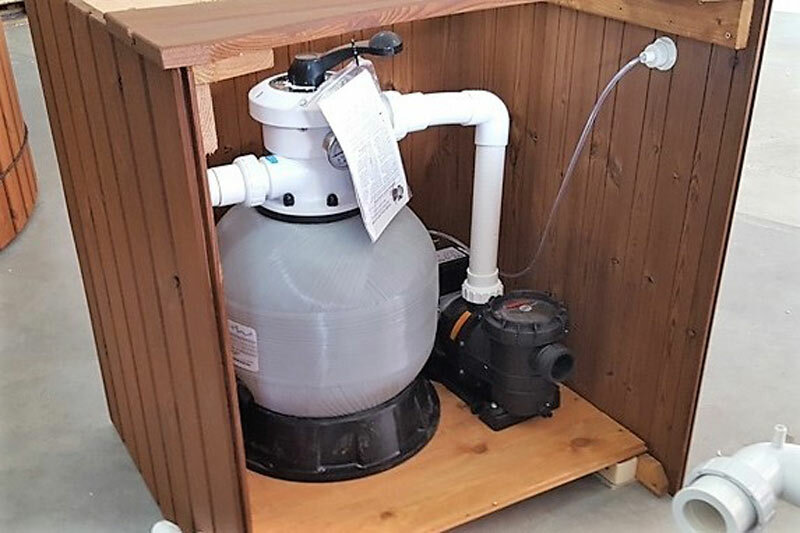 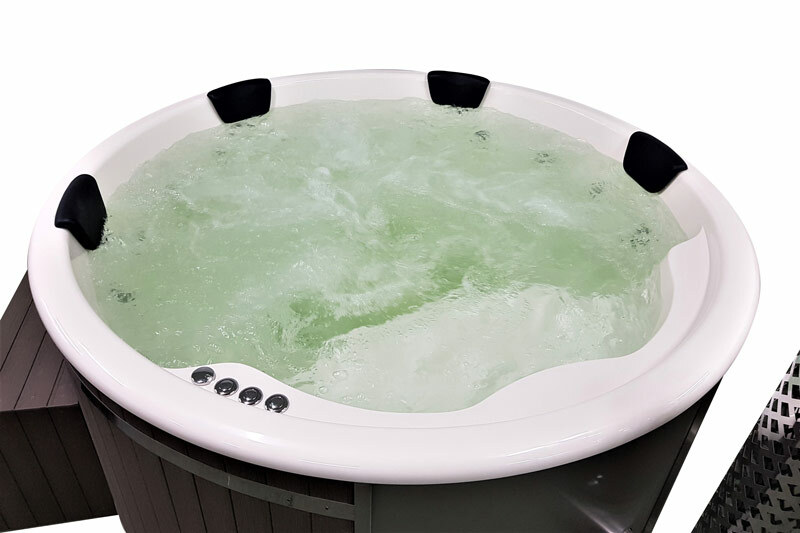 It has integrated fiberglass benches that save 20-25% of water and integrated fiberglass edge board on the top edge of the tub that will never rot or change colour. 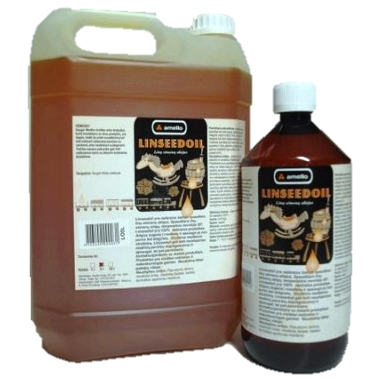 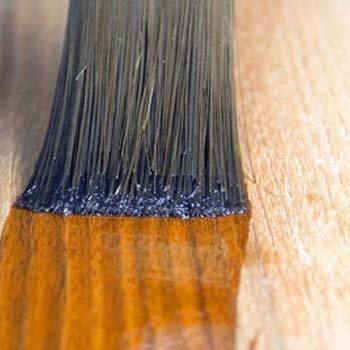 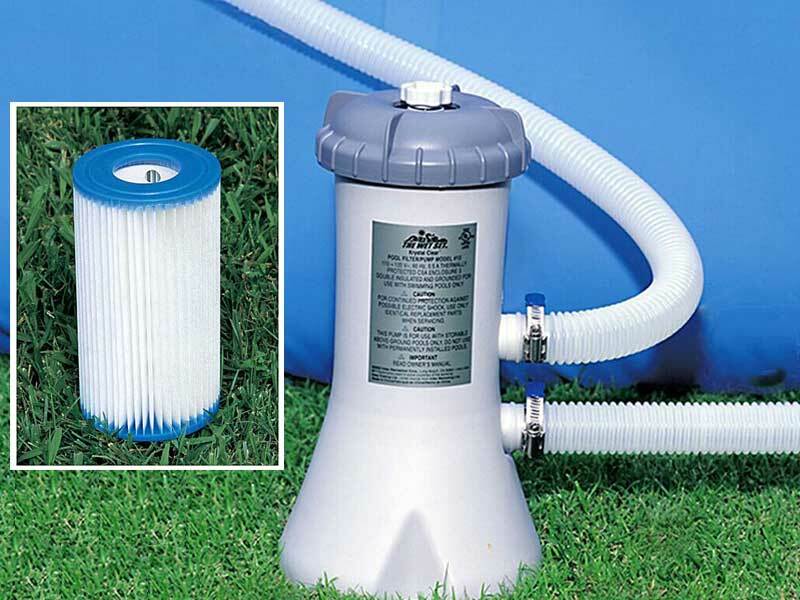 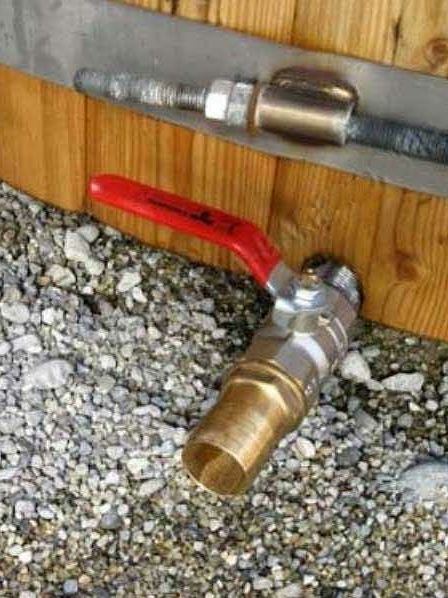 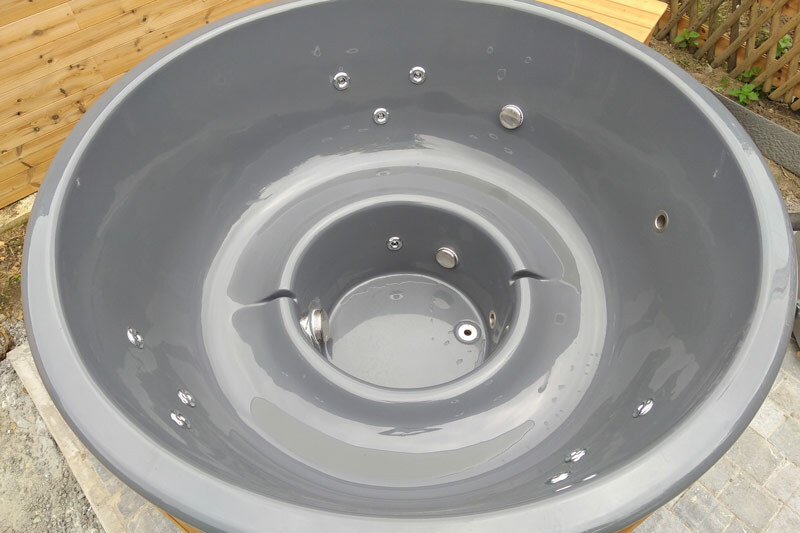 It never leaks and can be kept empty, it is easy to clean it with a sponge. 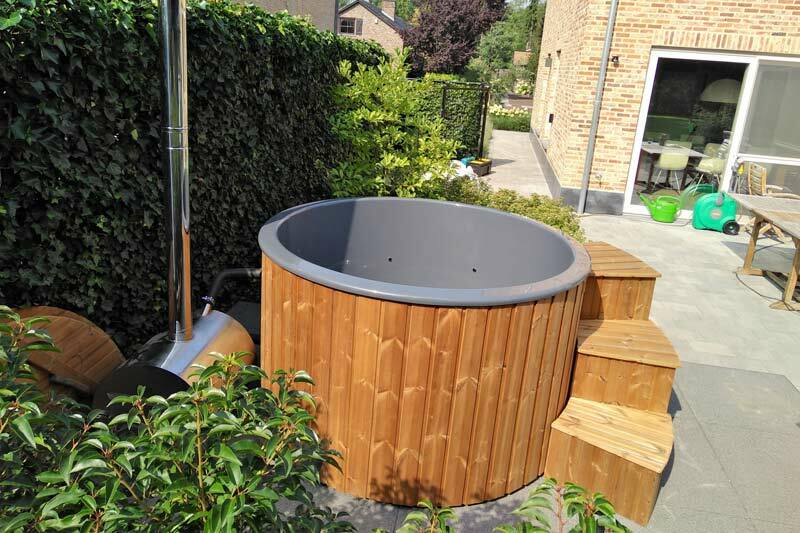 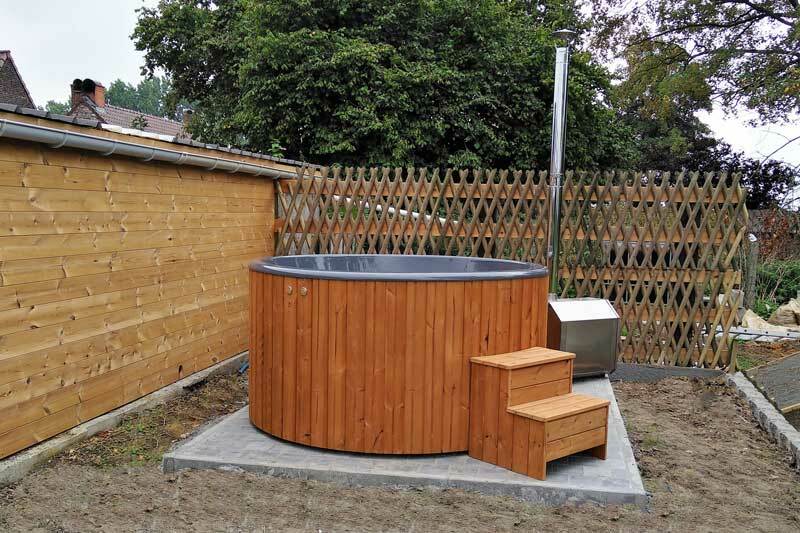 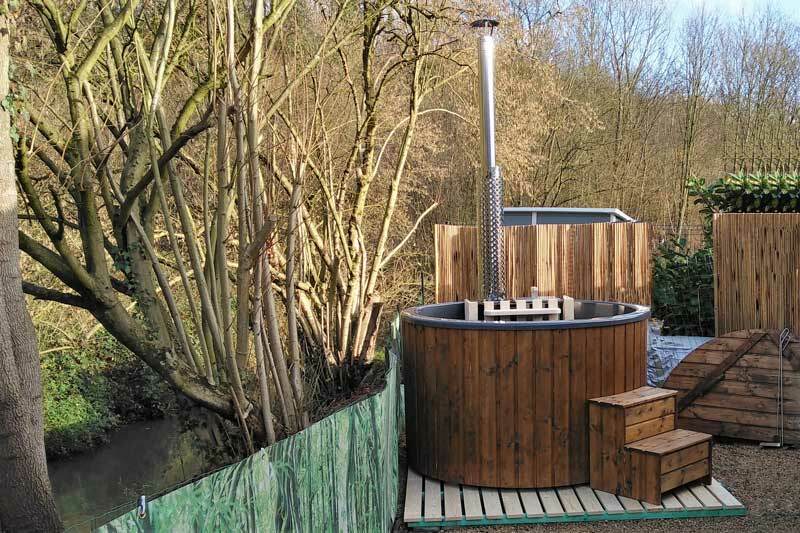 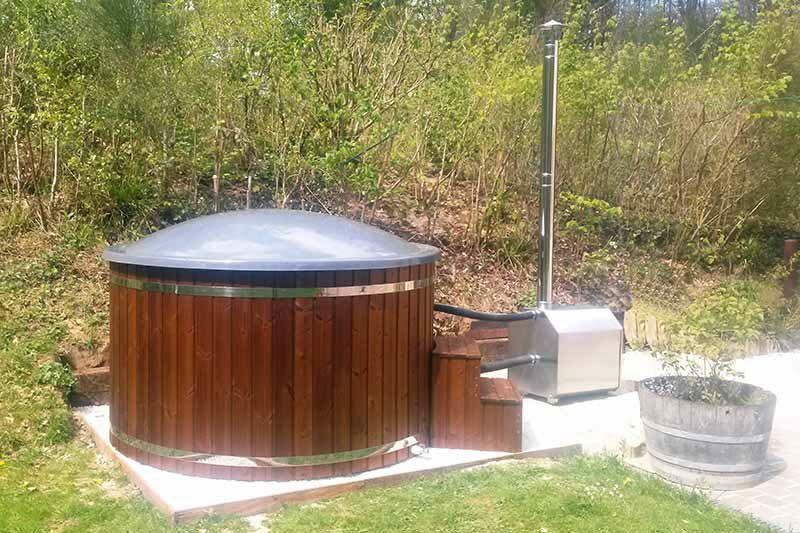 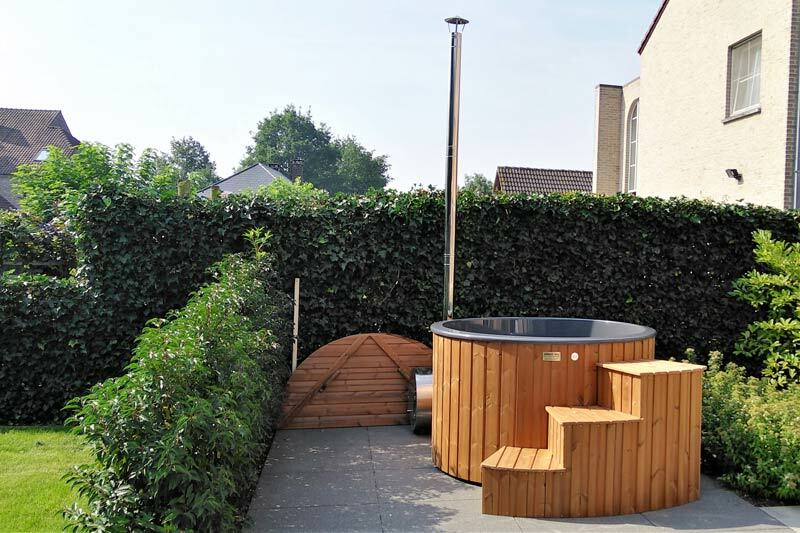 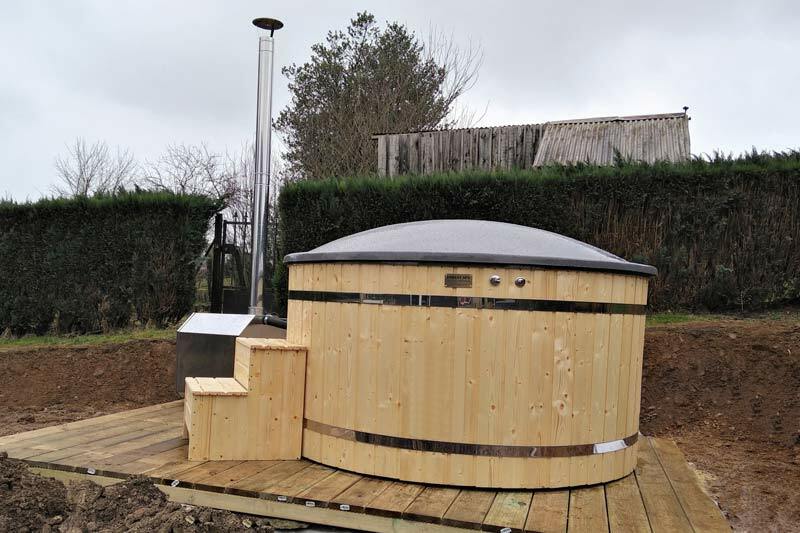 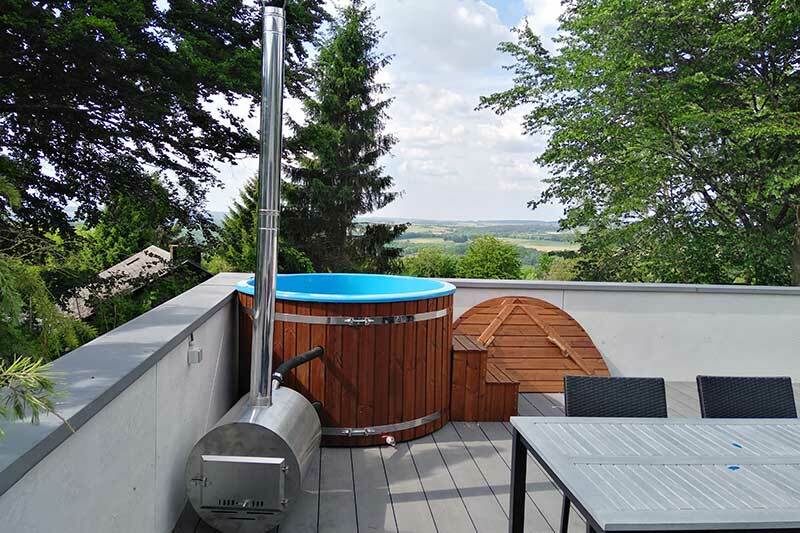 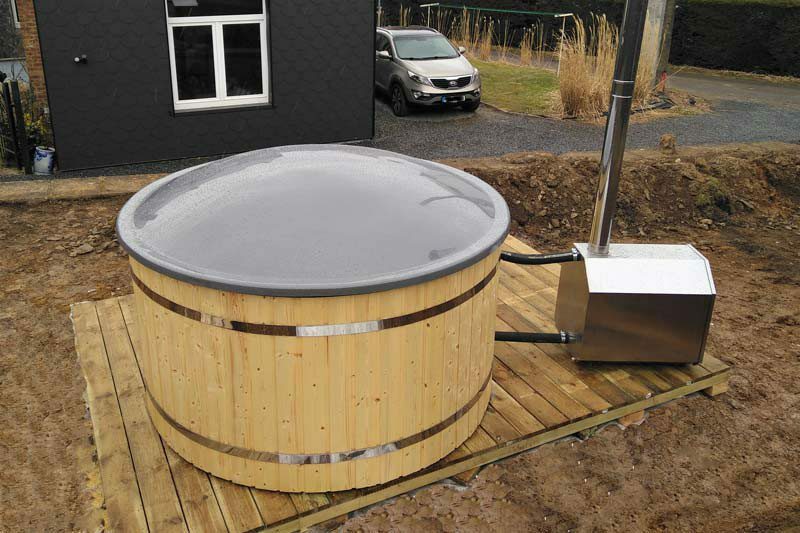 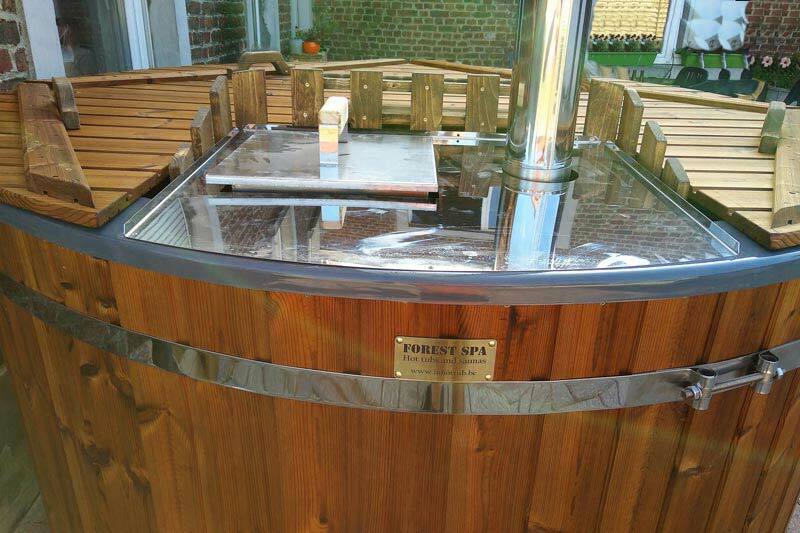 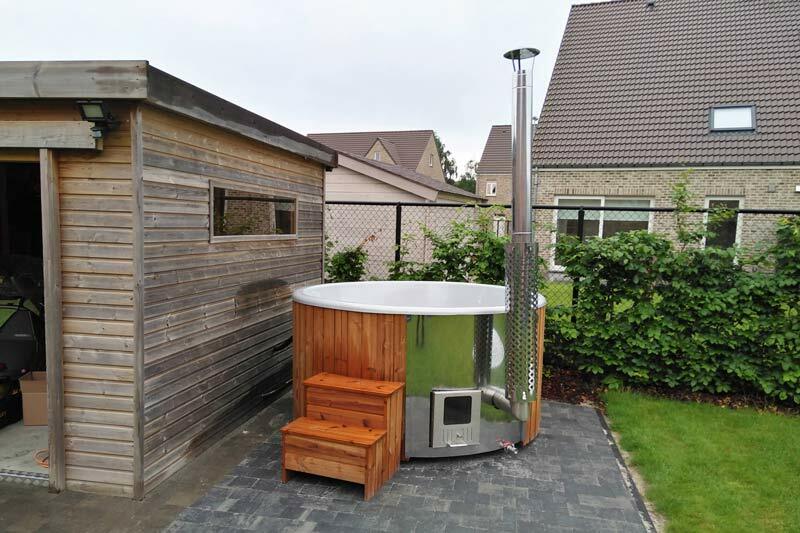 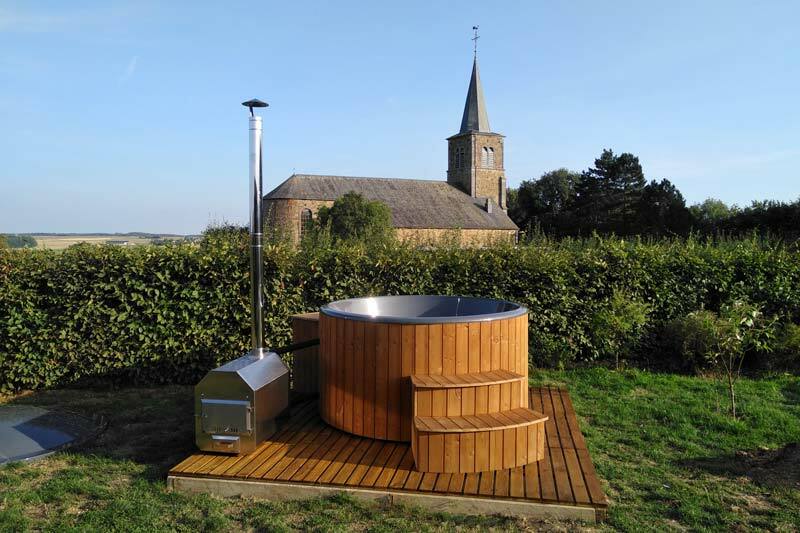 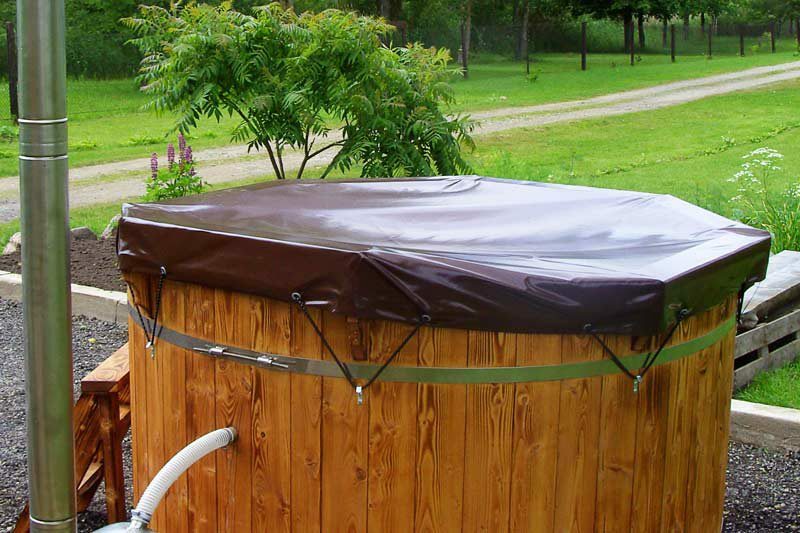 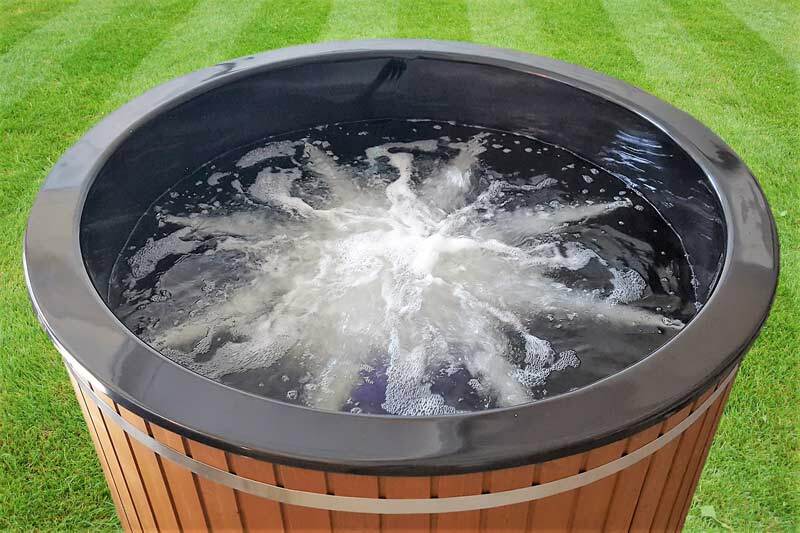 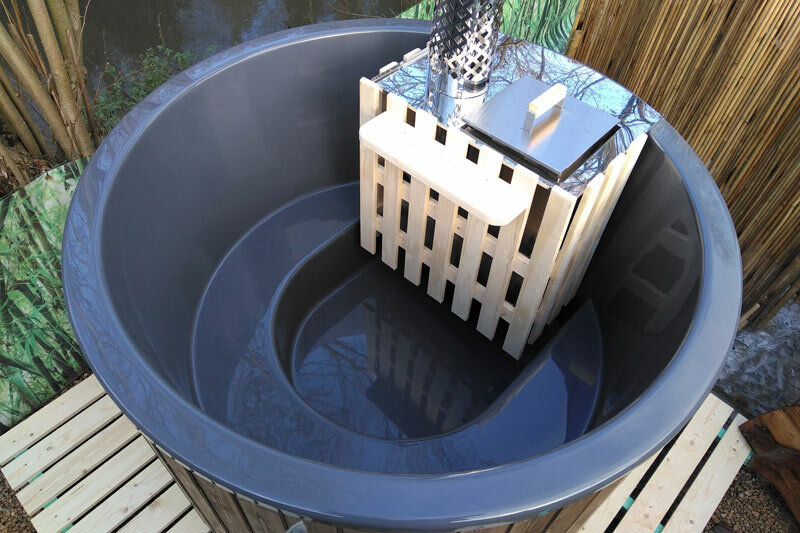 Fiberglass hot tub is perceived as more hygienic compared to a fully wooden hot tub. 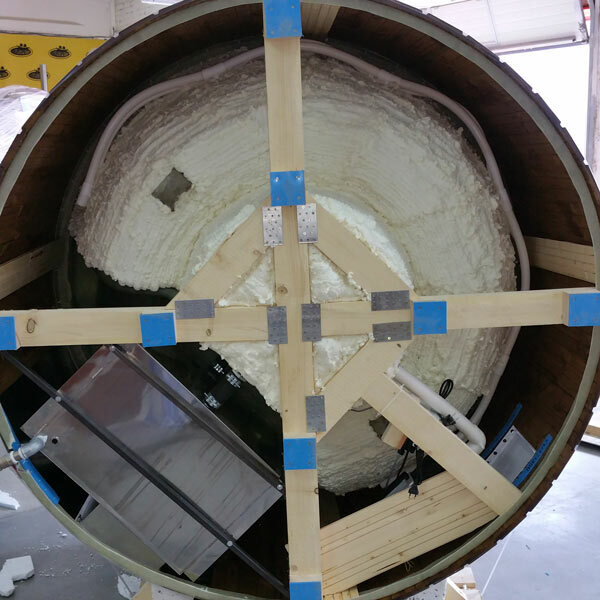 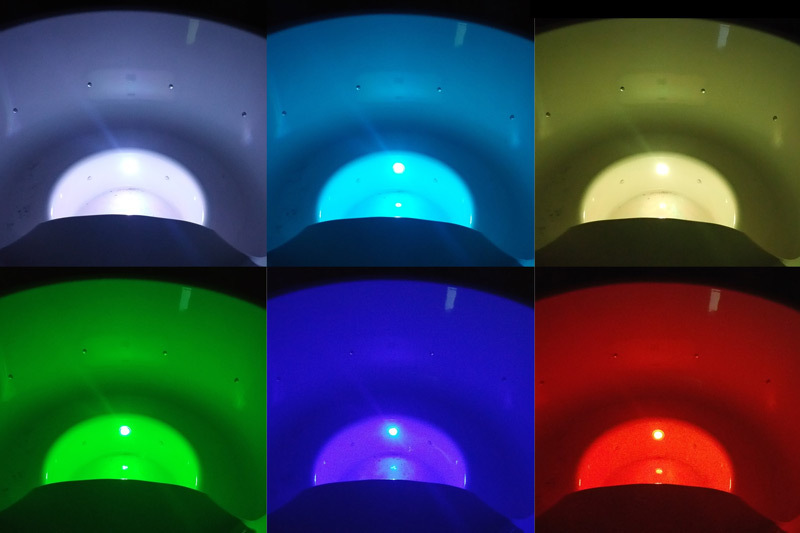 The colour of fiberglass can be white, pearl, blue and dark grey. 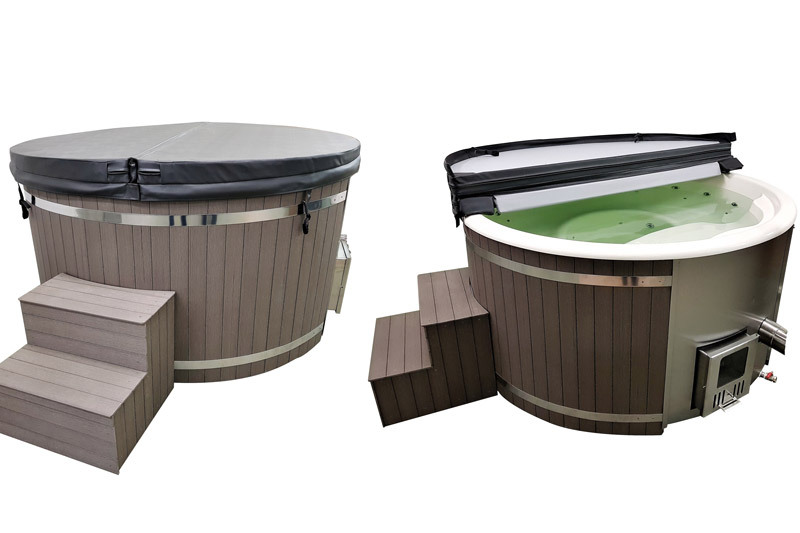 You can choose from either wooden or fiberglass lid (the same colour or different than the tub). 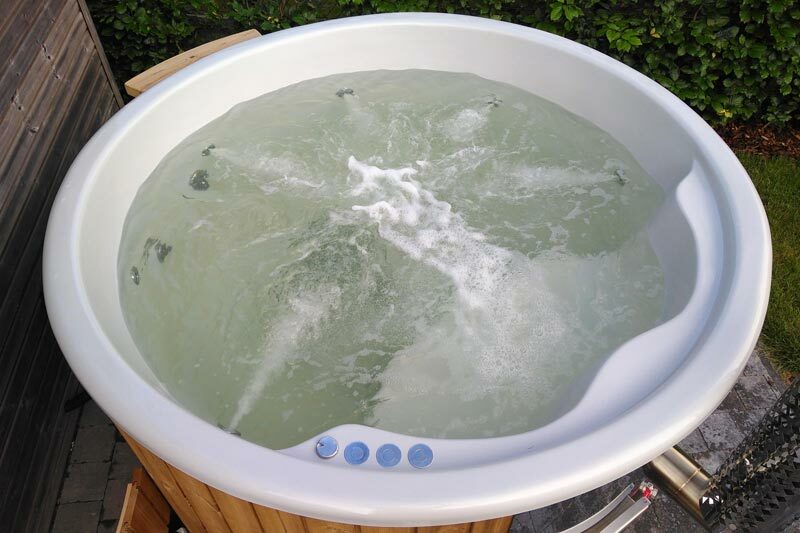 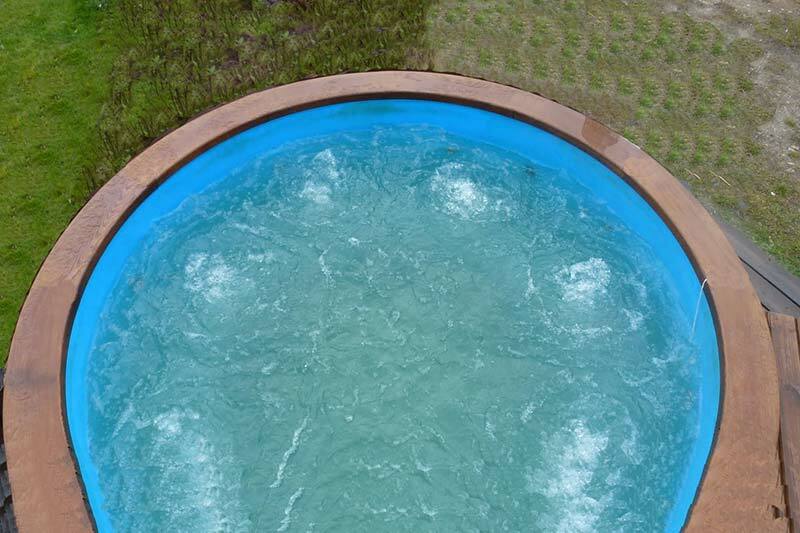 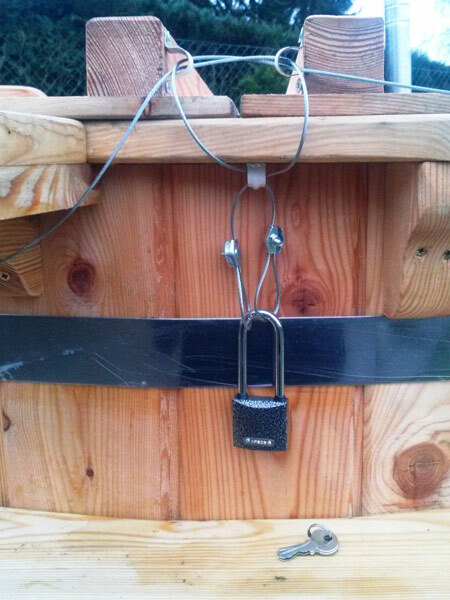 The fact that the hot tub in fiberglass has very little wooden parts makes it almost indestructible. 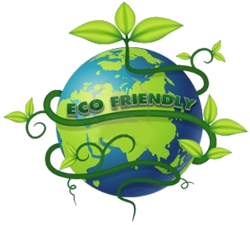 Free delivery in Belgium the Netherlands and Luxembourg, small extra delivery fee to France, Germany, UK, Switzerland, etc. 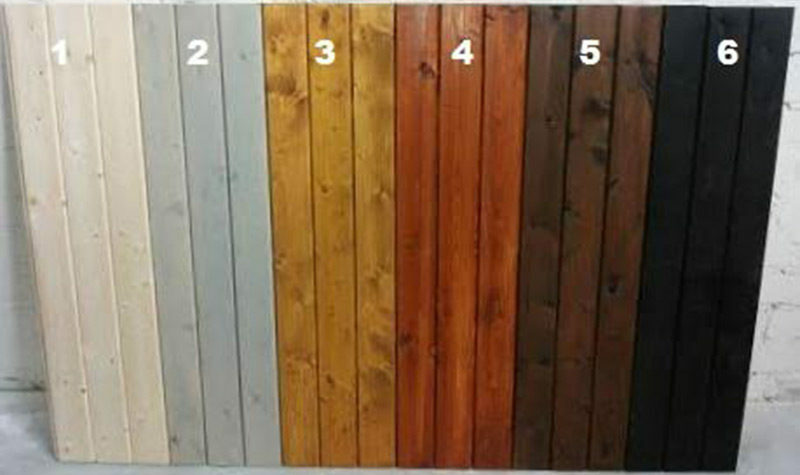 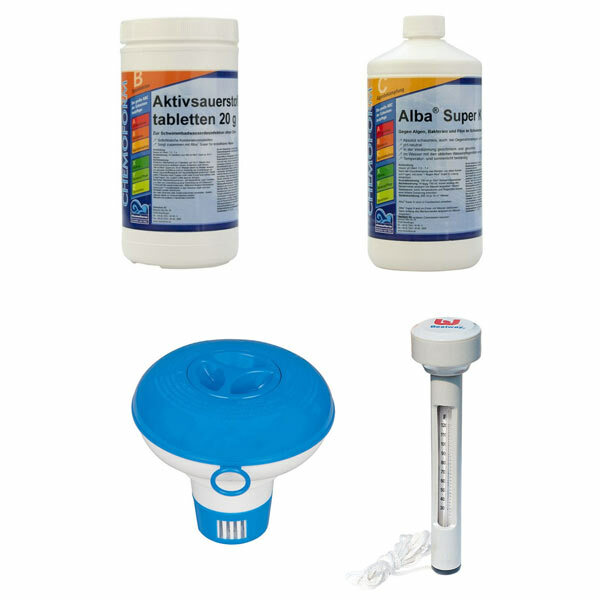 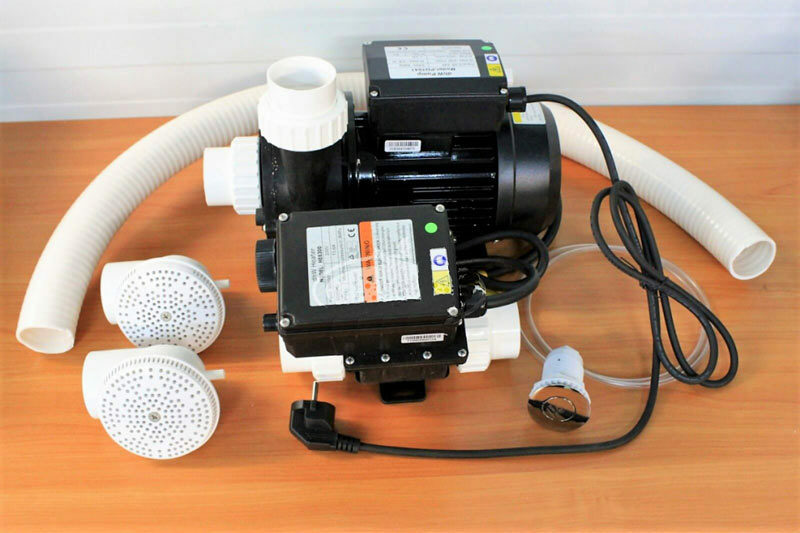 All prices are in Euro, VAT included. 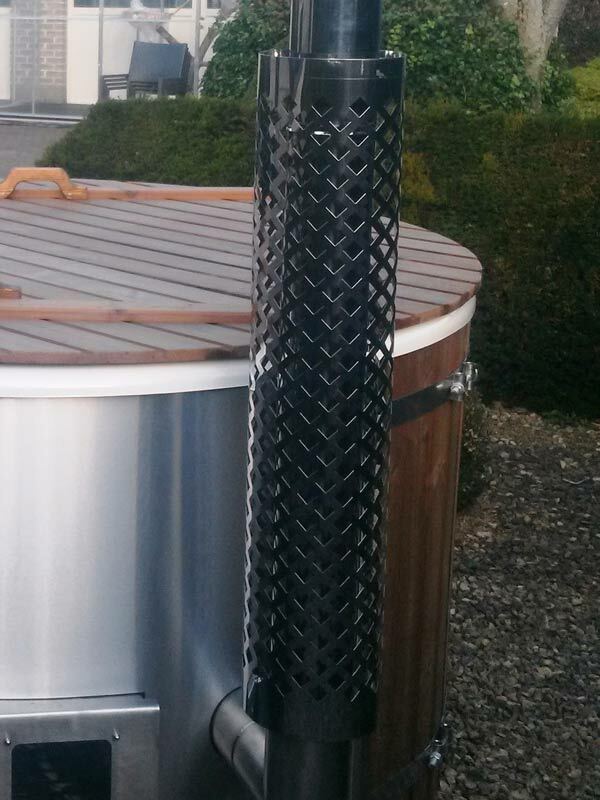 For customers in Switzerland, VAT is 0% instead of 21%.